Today we got a visit from our friends at NARAL Pro-Choice Texas, who were giving a few new interns a tour of our facility. The other night, they held a screening of 12th and Delaware at a local coffee shop, and encouraged attendees to write letters of support. We are just beside ourselves by how amazing they turned out. 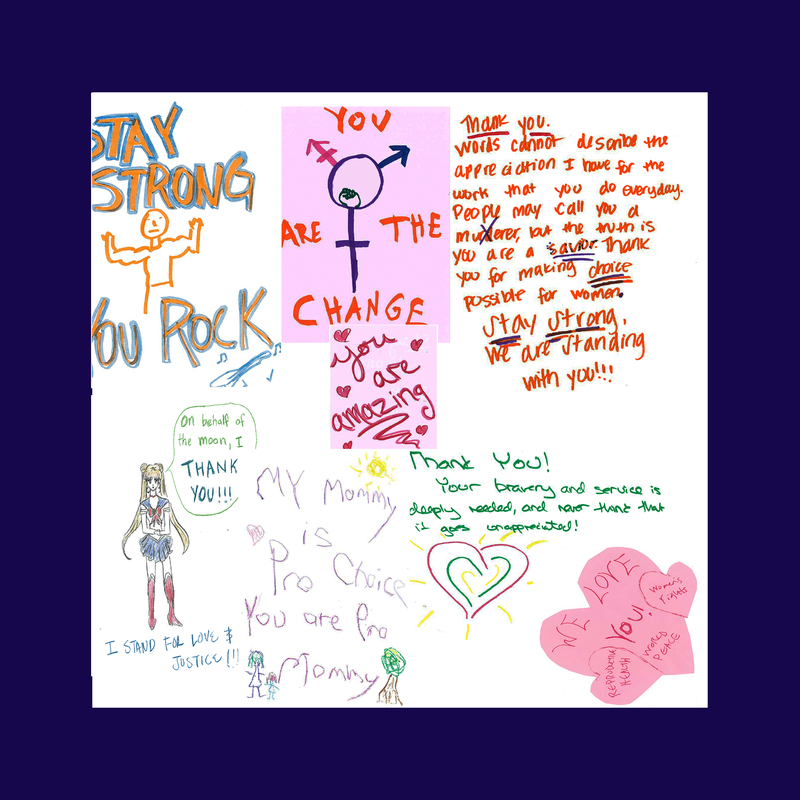 Here are a few drawings and letters from pro-choicers young and old with creative spirits and genuine, active concern for women, families and their reproductive rights. THANK YOU for staying involved, concerned and supportive!